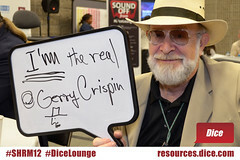 Sunday ShoutOut: Gerry Crispin. The cat in a hat. 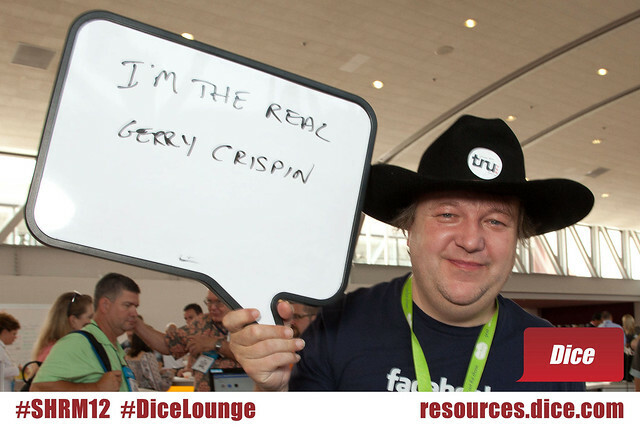 Gerry Crispin is a name synonymous with recruiting, and in particular the candidate experience. Gerry has been the people’s champion for as long as I can remember, pointing out the failings in technology and process, and why this might be important. In 1994 Crispin founded CareerXRoads, along with partner in crime Mark Mehler, to research, teach, share, write and speak about recruiting on this new platform the internet. CareerXRoads have built up a reputation as one of the foremost sources of data on source of hire, producing an annual report that gets quoted everywhere. You can download the 2012 report HERE. In addition to the report, CareerXRoads run training and consultancy services, as well as their in demand colloquim. The colloquim is a think tank in the recruitment space, where membership is by interview and selection, and events are restricted to 50 attendees, with no more than 2 from any one company. The membership list reads like a whose who in the space, helping to influence the shape of the market. Crispin is a prolific traveller and speaker, being seen on the bill at many of the headline events around the world. I first met Gerry in Toronto at #Recruitfest 3 years ago. He was leading a discussion in the park, the day after the event. The attendees were mostly relatively unknown in those days, as we were all trying to navigate the new social media channels. Among those present were Jenny De’Vaughn, Steve Boese, Laurie Ruettimann, Jennifer Miller-Merryl, Rayanne Thorne Maren Hogan, Michael Long among many others. We were relatively unknown in those days, ambitious, enthusiastic but lacking an obvious direction. I think the success of this event was that we had the opportunity to blend the thinking of Crispin and his contemporary Sumser, with our enthusiasm and desire to do things different. listening to what Gerry had to say in the park left an impression with me that we really needed to do things better, not just for the candidates, but also for the recruiters. We were conducting our business in a way that was really unacceptable and needed fixing. Experience Awards, now in their second year. The purpose of these awards are a bit different in that the dinner and ceremony is not the most important part of it. Of course there are winners, and citations for best practice, but more importantly, each company get a detailed report that reflects what their candidate experience really is, researched from candidates who are in, or have been through the process of trying to get employed. The report provides an opportunity to benchmark what you do against other companies in the process. You can see what you do well, and where you should really be improving. I was delighted to get involved the recently launched CandE Awards UK. We are currently looking for companies to take part in the research. You can sign up HERE. If you are a corporate business or agency you should sign up. It’s free to take part and you get to know exactly how you are doing, and where you need to improve what you do. Time to stop tutting about the candidate experience and start taking part. As well as CareerXRoads, Crispin has served as a formal educator, teaching emerging technologies in staffing to students at Cornell University between 1996 and 2004, and as a trustee on the national board for SHRM during 1999. Between 1987 and 1999, Crispin was general manager for Shaker Recruitment Advertising, where he pioneered the introduction of emerging recruiting technologies in to internal recruitment functions. 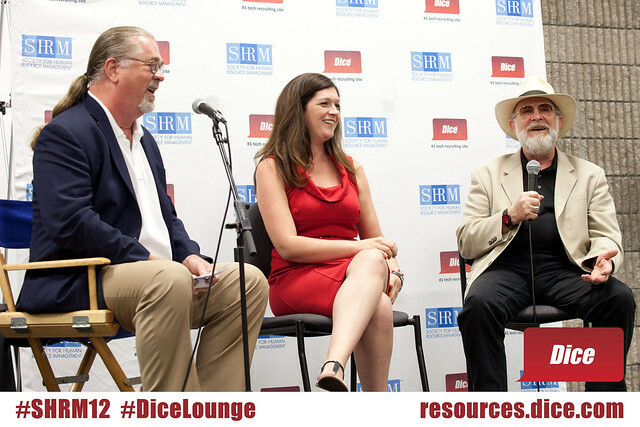 From 1975 – 1984 Crispin served as Human Resource Director for Johnson and Johnson, an experience he describes as his HR training ground. For many years, Crispin has led the charge on the realistic integration and adoption of technology in to the recruiting arena, basing his thinking and speaking on research and solid experience. He is not one to chase shiny new objects, so when he recommends something or proposes a new way of thinking, it’s worth listening. I last caught up with Gerry in Atlanta at #SHRM. I know he has been a constant support to others who are trying to make their way as analysts, bloggers or thinkers in our space. His experience and support makes a difference. I’m hoping to get Gerry over to #truLondon soon. Most importantly though, he sports a Panama hat everywhere he goes, and you can’t beat a hat for looking cool. Thanks Gerry for the inspiration that started in Toronto, to believe that we really can make a difference to recruiting, and the way things are done. The really important people in recruiting, the candidates, will be the first to salute you. Thanks for the kind words Bill. I look forward to when my travels take me to London. Your #tru events offer a unique venue for connecting recruiters on the ground and across many geographies. Best.